For over 5 years, Copenhagen has been on my list of must see cities. I've yet to make it but I have pinned a picture of its downtown to the middle of my inspiration board. My recent find that the world's first designer hotel came from this very city just solidifies my need to visit...and the good thing is now I have a place to stay. 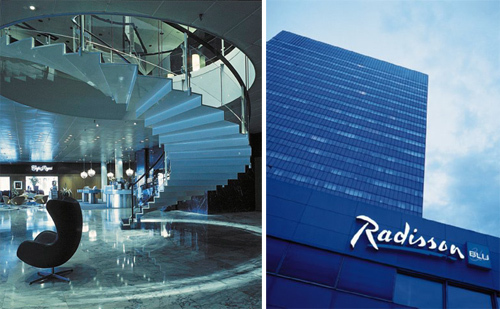 The Radisson SAS Royal Hotel in downtown Copenhagen was designed by famed Danish architect, Arne Jacobsen. the iconic Swan chair and couch. Arne designed practically every aspect of the hotel, from the silverware, coffee pots, furniture and lighting to the exterior facade. But sadly, much of the fabrics and furniture have been replaced as the years have taken a toll and subsequent decades called for a different design approach. 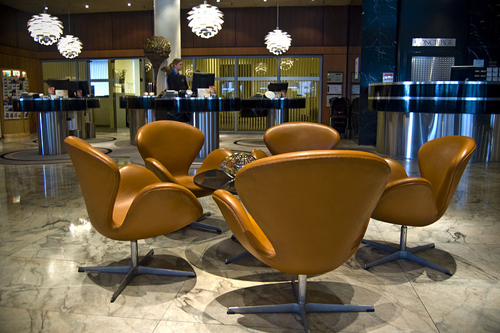 Jacobsen, who was working as a landscape architect in the late 50's was heavily influenced by the color green, whose various shades dominate the hotel. He used green in the textiles and furniture and combined them with both organic shapes and rigid geometric forms. 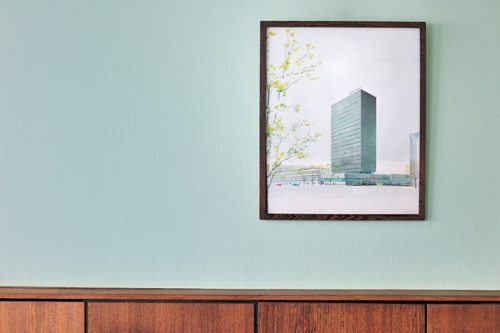 Room 606 is the only one that is truly original- with wenge wood paneling and green furniture. Luckily, you can still book it. At its completion, the hotel at 20 stories was the tallest building in Scandinavia. 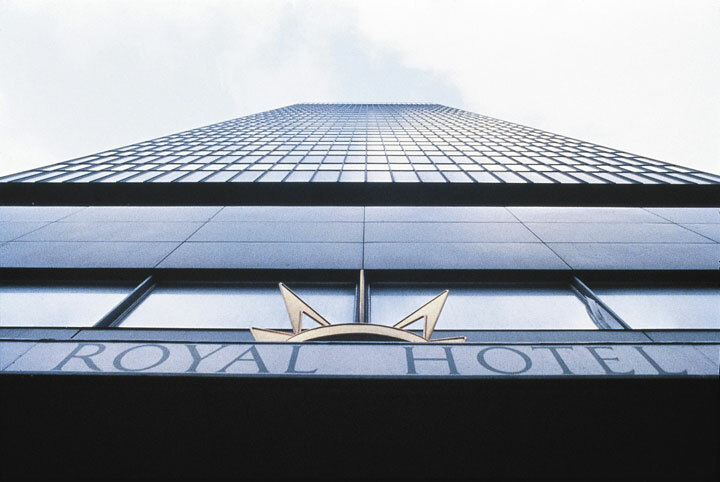 Jacobsen found inspiration from the Lever House completed in 1952 in NYC. 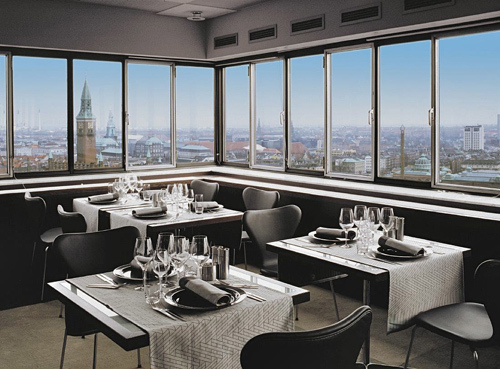 Ribbon windows dominate the Alberto K dining space as well as all the corner rooms to ensure the view of Copenhagen is the main attraction. Arne's Series 7 chairs in dark leather are calling our names, asking us to sit and stay awhile...Here's hoping the inspiration board does its job. And soon.